Geez, I don’t even know what to say. 100 is a big number. Of course, once again, I must thank every single one of my readers. Bless you all! 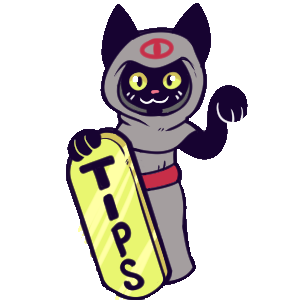 Thank you everybody who has ever commented on a page, sent me a message, donated to my Patreon or Tip Jar, or told a friend about my work . I don’t even know how to express my gratitude at this point… wow. Most days, this still doesn’t feel real. The 100th strip features a cameo of a fan-character described to me in the Wool Wolf Discord Server last year. If you don’t know, right now the server is having a challenge to design a Critter Coven fan-character. Even if you’re not an artist, I encourage you to join the server and participate! I love seeing what fun characters people have come up with, and there is always room for more cameos. Uhh… Well, 100 is a big number but we’ve barely even begun to tell all the stories I have planned. We’ve got hundreds of more comics to go, and I hope I can continue to see you all as readers in the future!